I’m about to do something I’ve never done before. Its been a while since I started thinking about it and I’m finally doing it. Today, I’m going to blog on the move. This won’t be easy, for one thing my laptop (which I happen to love a lot) is kinda big, its battery is sorta weak, I also feel a little crammed up in my seat at the back of the bus. But that’s not going to keep me from trying. 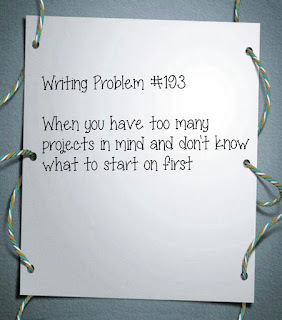 Normally, for me the whole process of writing a blog post begins with an idea. The inspiration for which often comes in weird forms and in unexpected ways. I let the idea gestate in my head and over time it slowly takes shape. When I feel I have enough content in my hands, I start putting the words down. That’s when things get complicated. Because now, the challenge of invoking the same reaction in you that prompted me to write about an experience in the first place becomes very real. Which is why, this is going to be tough for you as well. I’m going to need you to tug much harder on your imagination than usual because I’m hoping to recreate the live environment that I’m in right now using just my words and hopefully, with a little help from singer-songwriter Robbie Williams, you and I might just make that special connection that I am trying to pull off here. Why Robbie Williams you ask? Well, one of his biggest hit singles ‘Feel’ is kind of the basis of this months blog post. I told you, inspiration often comes in weird ways and forms. Let me give you a little background first. Ajay Prakash, my friend from medical school, and I were the boldest people in the graduating class of 2011 . Why were you two the boldest people in the class you ask? Well, the two of us always sat right at the front of the class, for almost 5 years in a row. The truth is, we had no choice. 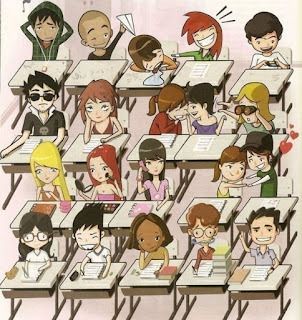 Those were often the only two seats left when we arrived to class, we were usually late and the best seats i.e. the back benches, were always taken. Dr. Prakash was responsible for re-invigorating my interest in Robbie Williams. It was our second day at the college and the two of us were just getting to know each other. He nearly got us both into trouble from not being able to control his laughter earlier that morning. Our physiology professor kept comparing the human nervous system to something he repeatedly referred to as a ‘CAMP-BUTTER’. When Ajay realized that he professor was talking about a computer and no some exotic type of butter used exclusively in camps he almost fell out of his chair laughing. “What kind of music do you listen to”? I asked him. This question usually serves as a segue for me to understand someone better. You can say a lot about a person depending on the kind of music they like, trust me on this. “I’m not much into any specific type of music”. He replied honestly. “Wait, but there is this one song by Robbie Williams called Feel that I really, really like”. He said. I lightened up a bit. It was not that I hadn’t heard the song before, ‘Feel’ was a big hit in India too, but now I decided to listen to it more carefully when I got back home. I was really curious to see why Ajay liked the song as much as he did. After about the fifth time in a row that I listened to it, the song started to grow on me. I’m not sure if it was Robbie’s raspy voice or the melodious sound of the piano playing in the background, but I found myself getting fascinated by the tune. ‘Feel’ is one of those rare songs that creates an atmosphere around itself as it goes along. It strikes a near perfect balance between unbridled joy and absolute melancholy, while keeping a constant hold on the listener at the same time, not letting you drift to either side of the scale. 11 years ago when it came to liking a song, it was a lot more about the music than the lyrics to me. But now that I’m older and somewhat wiser (atleast mom seems to think so), the words of the song make so much more sense to me. So, where exactly am I headed today? And why did I choose the bus to blog on the move, when I could have easily done the same in the backseat of a nice cab. I’m not really headed anywhere, sometimes I just ride the bus and I’ll tell you why in a moment but before that let me introduce you to my co-passengers. It’s about 3 in the afternoon right now. A young man seated to my right across the aisle who is looking out of the window, a mother with a large bag of grocery in one hand and a stroller in the other struggling to balance everything and an elderly gentleman wearing a fedora sitting behind the driver. That’s all of us, but don’t worry we’ll pick up more people along the way. 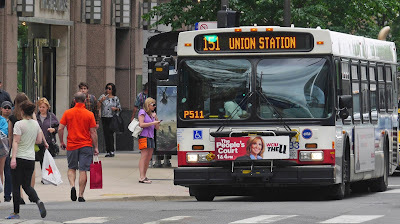 Route no 151 of the CTA in Chicago is a very pleasant bus ride. Before entering the downtown region, for a few miles the bus goes parallel to Lake Michigan. On day like this the wide expanse of blue water can be mesmerizing to say the least. I am more focused on the people in the bus though, this post is also about them. Magic is about to happen. The mother with the baby still seems a little uncomfortable trying to keep things from moving around, the girl in the scrubs is leaning on the window with her eyes closed and the young man sitting nearby seems to be staring at his hand now lost in deep thought. We stop for a few seconds extra at the intersection between Michigan and Erie, the driver is lowering the entrance of the bus so that someone using a cane can get in. A few seconds later as the bus begins to move, the woman who got in trips on the cane. The man with the hat is the first one to respond. He leaps to his feet and grabs hold of her, the mother too leans to her right to try and break her fall. The bus slows down and everyone within an arms reach of the woman have make sure that she is doing okay and help her find a place to sit. A few stops later the elderly gentleman gets up from his seat, before he leaves though he takes his hat off, gently nods his head at the woman he saved from falling down, gives everyone a curt smile and disappears into the crowd outside. I turn my attention now to the young lady in the blue scrubs upfront. She has her eyes fixed on her phone again, but now she is smiling, I don’t know what she sees on her phone, but she looks so genuinely happy. The man across the aisle to my right, is still looking at his hand but now I notice whats going on, every few seconds he is taking the ring off his left hand and then putting it back on. Maybe it just me but it seems as though he misses someone a lot. 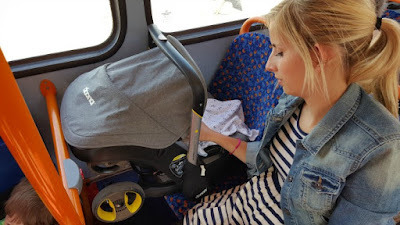 I am most moved however by the mother with the bag of grocery who seemed so frazzled at first when she got into the bus, now she is staring at her baby sleeping in the stroller, and she looks so peaceful. I don’t know how much of what we say, do or feel in the world today is genuine. Real is rare in our lives. Raw emotions, genuine laughter, honest opinions are so hard to come by. You may have felt this before, quite often in fact, at the end of the day, like a lot of the food we eat, even our feelings and reactions to things can seem so processed. Have you ever wondered why people do extreme things? Intentionally jump out of a plane flying thousands of feet above, leap off a cliff tethered to reality by nothing but a thin elastic cord? I might be wrong but I guess why people indulge in these activities is because experiencing such a massive adrenaline rush is the only opportunity they have to feel something real. Maybe that’s what Robbie Williams was trying to say in the song. I know riding a bus or train can’t be equated to bungee jumping or skydiving, but it is what I resort to when life seems too plastic or made up. I see real everyday people, some of them superheroes in their own way, like the man in the hat who rescued the elderly lady who almost fell down, Simple people dealing with real everyday stuff, their faces reflecting real emotions, some happy some sad, but real nonetheless. People I know are headed back to their homes, who like me are not sure about the future but are willing to wake up the next morning and try again. The bus is turning around now at union station, which reminds me, its time I headed back home myself. Subscribe to The Sentimental Idiot !